They call him the nice shark. Robert Herjavec pulls back the curtain on ‘Shark Tank,’ revealing what makes a good pitch and how much (or little) he and his fellow investors make on the hit ABC series. Plus, Robert on his upcoming marriage to Kym Johnson, Trump’s allure, and why he still has a chip on his shoulder. Robert Herjavec: "My dad wanted to come to America, but America wouldn't take us." Robert Herjavec: "It was really hard to get into America, we applied and the immigration wouldn't let us in and Canada took us in with open arms. That's why I'm so touchy about the whole immigration thing. Everybody in this country an immigrant from somewhere." Larry King: "That's right we all are, except for the American Natives." "Good and bad. As people say to me, I'm a great guy to know, I'm a little hard to live with at times. I always have this chip on my shoulder about being an immigrant. I think that once you don't fit in, you always have this need to fit in. I always feel like I'm working towards something that is probably never going to get there, so I always feel this need to work harder, run harder, push harder, do more." — Robert Herjavec on if having an immigrant mentality has been a force for his success. "My goal was lack of poverty. Mark Cuban and I had this talk, when he was 12 years old he said he knew he wanted to be rich, I just didn't want to be poor. I think they're different things. I think Mark wanted to make a lot of money, and he's worth more than I am so maybe there's something to that, I just didn't want to live like we were living. "— Robert Herjavec on his drive towards success. Robert Herjavec: "Somebody in Canada said to me what's your favorite TV show? and I said my favorite reality show is American politics. They're amazed. The whole Trump aura and the election is really incredible, it's fascinating from the rest of the world." Larry King: "What do you think of him as a successful business man into the world of politics and the impact he's made?" 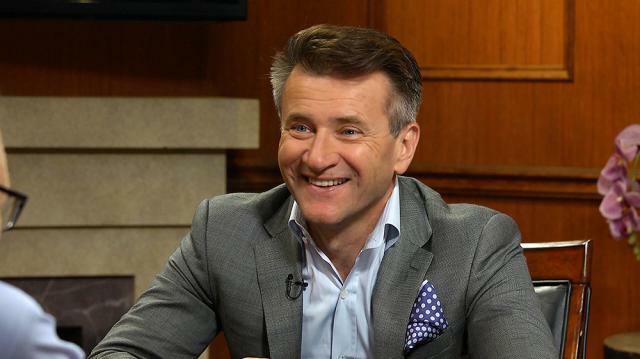 Robert Herjavec: "I've met him a number of times, I've met Hillary a number of times, regardless of what you feel about Donald Trump you cannot deny that man has a persona and a character. You get him in front of a large group of people, it's a party. He reminds me of the cool kid in high school, everybody wants to go to his party. It's incredible to us." "The path to success is not spotted with failure, the path to success is constant failure spotted with some success. You gotta let your winnings ride, and you've gotta absorb your failures quickly... I never think of anything as a failure, I think everything you do gets you to this point. I think the minute you think of failure it's over. I've never thought I was a failure, even in the worst, crappiest, days I never thought of myself as a failure in anything." — Robert Herjavec on the failure and the path to success.